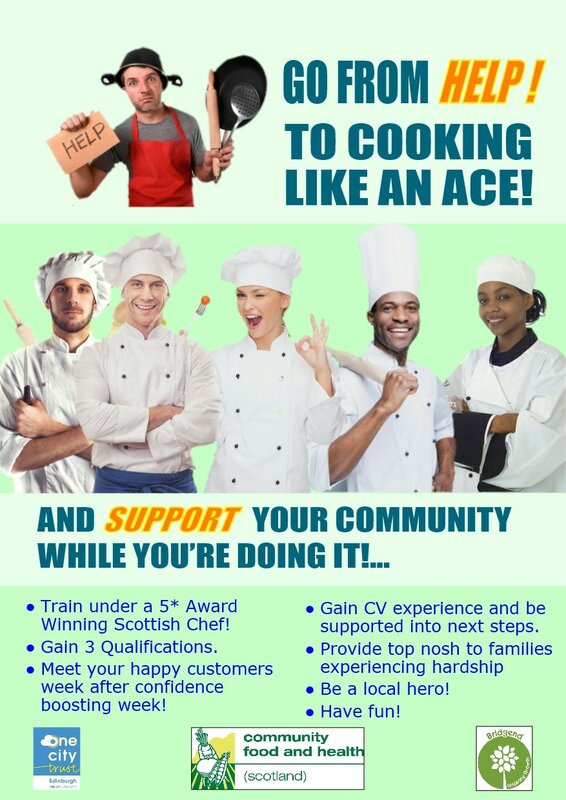 Our next Community Café is under way having started Monday 26th June with 1 week of training prior to starting the café. This café will be spit over 2 venues with 6 weeks at Richmond Church then 6 weeks at Bingham Community Centre. Also this block is specifically for giving benefit to people experiencing hardships, so invitations to eat at the café will be by referrals only. The 1st block is aimed at families missing school meals, so will be from 4.30 -6:00pm each Monday from 3rd July. The 2nd Block, from mid August is aimed at both Senior citizens and disabled people living in nearby supported housing. Details still to be confirmed but likely to be on the same day and time. ​We will again be fortunate to have award winning Chef Colin Hinds as the chef-trainer. ​​And check out our community café in action, we can't wait to be rustling up more delicious meals for you all in the future ! 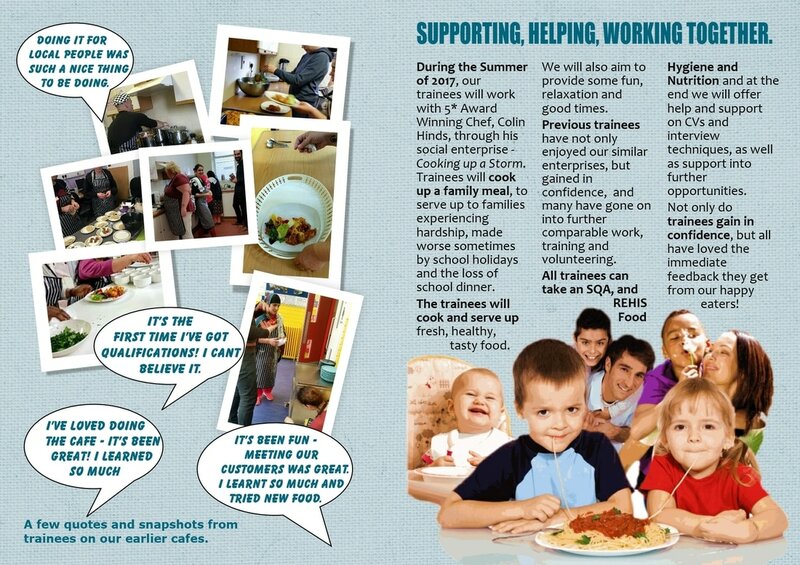 ​In summer 2015, the public chose us to receive funding to run a community café where the participants would gain training, qualifications and skills in producing health low cost food for the community. 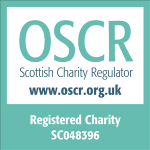 ​These continue to run, with attendees working as a team to learn cooking skills, run a café for local residents, and getting qualifications in REHIS Food Hygiene, and Health & Nutrition as well as an SQA in Working With Others.